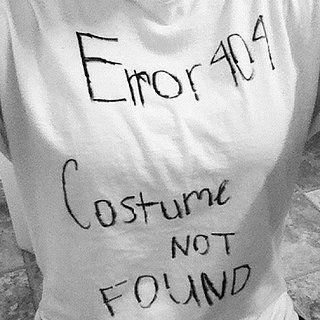 not a costume to be found, not even a mouse. OK…enough with the silly poem. You need a costume, and you refuse to shell out $30+ dollars for something that will be worn for a few hours. How about fabric paint, fabric markers or even a sharpie? Good job. 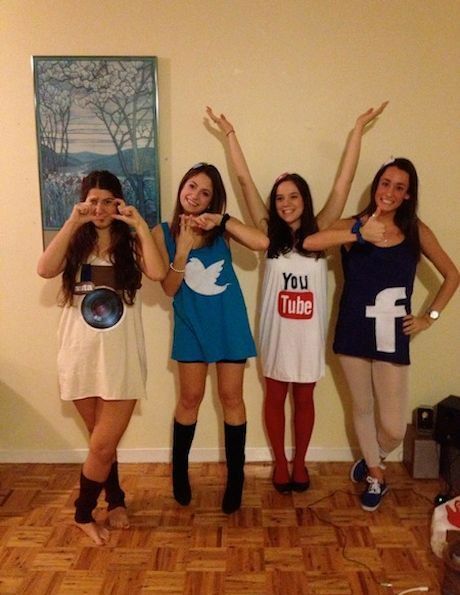 Halloween costumes made with t-shirts are quick, clever, last-minute homemade Halloween costumes. 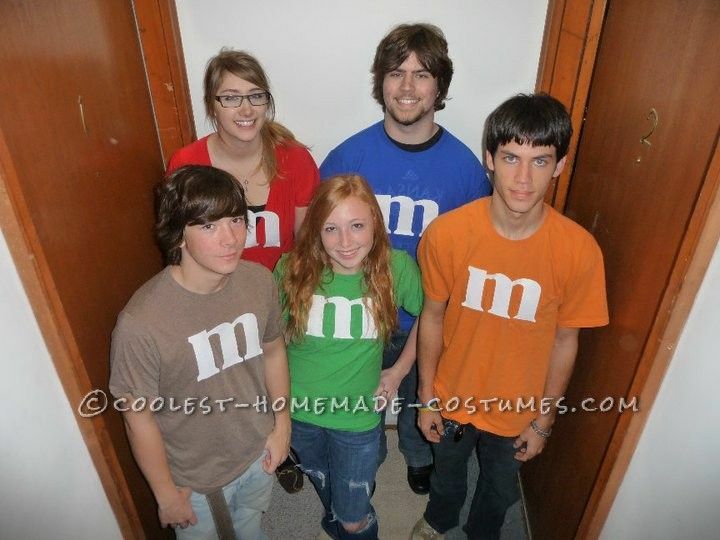 Use white fabric paint, a white fabric marker or sharpie and draw a lower case “m” on the front of a colored t-shirt. You’ll need to be a little more artistic for this one, and you’ll need a few more paint/marker colors! This one couldn’t be easier. A white t-shirt and a black sharpie will get you a lot of laughs!Do you have any favorite Halloween costumes made with t-shrits? Check out more super-easy last minute Halloween Costumes, or opt for the costume of last resort…a ghost made out of a sheet!